But does the stock price have to wait until the day of the event? Perhaps with the progress of the monthly notice disclosure, the stock price will gradually move towards the lowest price of the transfer – the net asset value (NAV) in the coming year. What is the current net asset value per share? 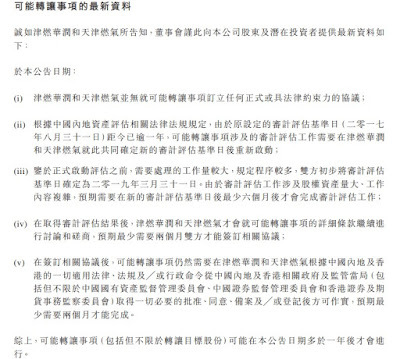 About HK$1.06, which means that if the RMB depreciates by 5% next year, the net asset value will fall to 1 yuan. If the merger is successful, the potential return will be calculated according to my recent two incremental price of 0.7 yuan. About 43%, while the time is conservative, some estimates may be 18 months, that is, annualized returns of about 25%. The worst case is that China Resources Gas will no longer acquire the holding of Tianjin Gas. The merger will blow, how much can the stock price fall? Since the financial tsunami in 2008, Tianjin Jinpeng public share price has seen a minimum of 0.58 yuan, you can refer to this price. 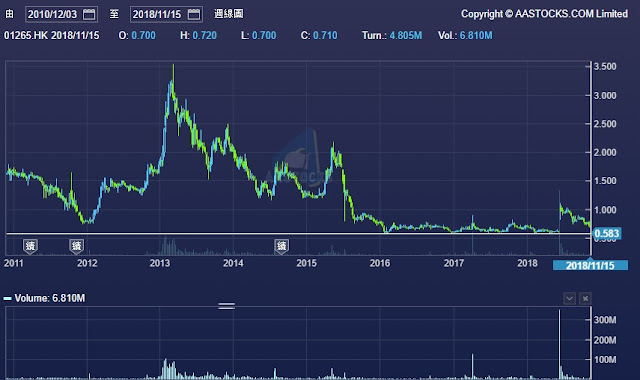 The company’s net asset value is 1.74 billion yuan, including net cash of about 1.1 billion yuan or equivalent to net cash per share of about 0.7 Hong Kong dollars, so 0.58 yuan can be regarded as a reasonable share price after the failure of the merger, that is, about 17% of the downside. This risk-reward relationship has a higher value than the privatization of advanced semiconductor (03355) or Sinotrans Shipping (00368). In addition to the uncertainty of the privatization time of the two state-owned enterprises, it is uncertain whether the privatization can be approved by the independent shareholders. Anyway, there are uncertainties. Of course, I choose Tianjinjin, which has similar chances of success but higher potential returns. Burning public. This entry was posted in Investment on 15 November, 2018 by Wai Gor.